PROPERTY OVERVIEW >> $188pw -- Price incl. Classy lakefront office space with water views opposite Westfield West Lakes. Private, spacious and furnished with unobstructed lake views, this lockable office suite is ideal for consultants and small businesses that need a peaceful place to work and hold meetings. It comes complete with fast internet and shared use of an 8-seater boardroom, kitchen facilities and a waiting/reception area with a box of toys to entertain any little ones that might accompany Mum and Dad to meetings. This leads through to a designated admin/printing area and a small huddle zone for 1-2-1 meetings, all neatly styled with leather chairs, wooden furniture and a chesterfield couch in the waiting area. Watch the sunset as you finish up your last meeting for the day, wander down to a great waterfront restaurant or cross the road to the cinema – this private office space in West Lakes is excellently positioned for work, relaxation and entertainment. Short and long term rent available now on flexi terms. This flexible workspace is part of a small complex of offices nestled between the lake and Westfield Shopping Centre. It seems worlds away from the hustle and bustle of the mall with the villa-style complex offering abundant free 2-hour car parking, air conditioning and incredible lake frontage. Enjoy unobstructed water views from this first level workspace plus easy proximity to a huge range of amenities at Westfield West Lakes including Reading Cinemas, supermarkets, retail chains and eateries. The West Lakes office space promises a more inspiring working day next to the lake and easy travel between the office, Adelaide CBD, Adelaide Airport and home. · Free onsite parking for 2 hours. Abundance of natural ligh.. Price: $165pw | 2 Person Workspa.. 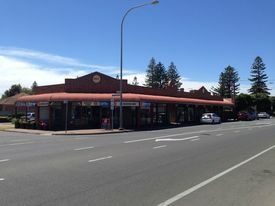 Contemporary office space.. Price: $253pw | 3 Person Workspa..
An ideal opportunity to establish your business in a brand new retail tenancy in a well established and busy location. 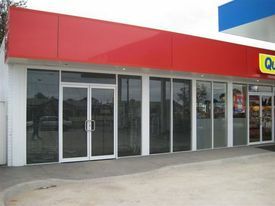 The tenancy forms part of the United Service Station and offers a separate 80sqm (approx) area, ideal for food or retail use.